Want to add games to your educational platform? Create apps? Web games? You've come to the right place. 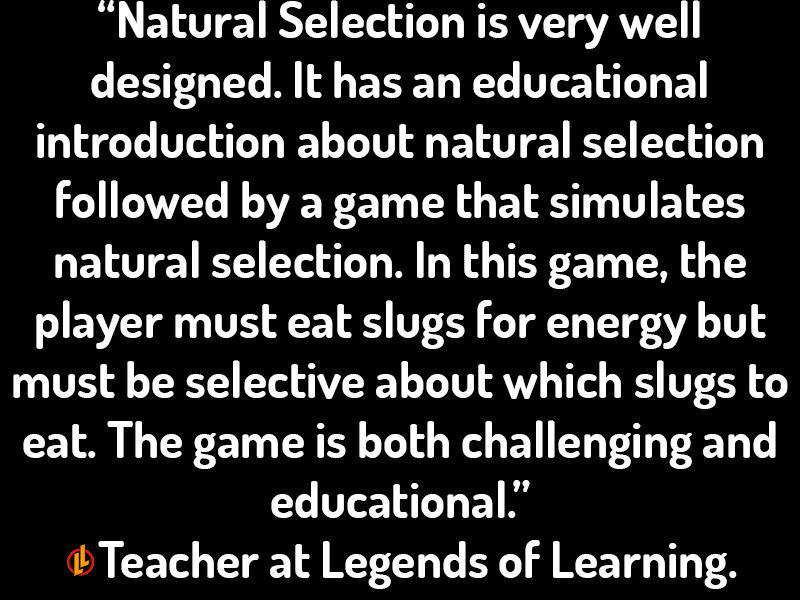 Natural Selection teaches the players about natural selection by making them think about their play strategy. A new player needs to carefully consider which prey they should eat if they want to survive. If the player goes into the game and eats without thinking they will soon find the pool of prey depletes and evolves i.e. fast and small prey is harder to catch and give less energy. If they carefully select their prey to weed out undesirable characteristics, they will find that later generations of prey are easier to catch and give more energy. anmuinteoir offers a framework for providing curriculum-targeted Irish/Gaelic language lessons. They contacted us as educational game developers to create a flexible game that can handle a wide range of multiple choice questions, including the ability to skin the game to provide a variety of different ways to play. For this project to be easily expanded and adapted, we also delivered a content management system so the client could get the most out of their budget. Angry Contraptions combines the catapult/flick mechanics often found in mobile game apps, with Rube Goldberg/Incredible Machine levels. 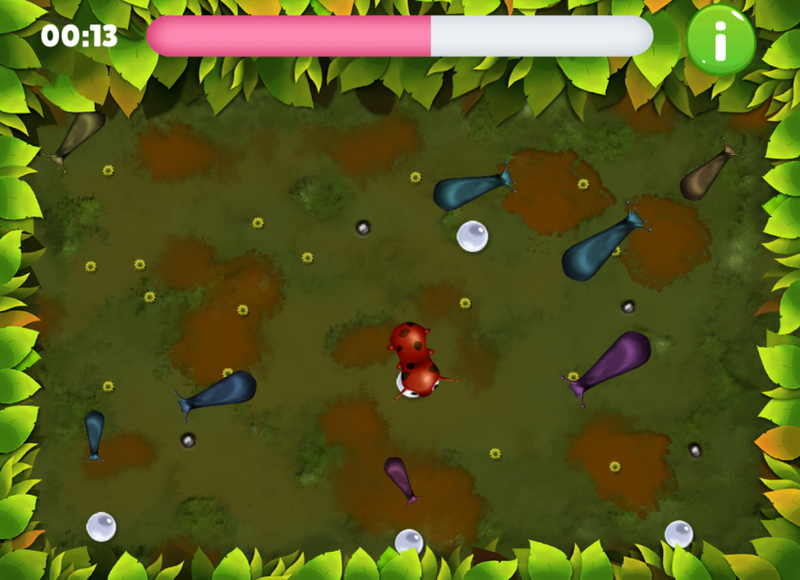 The idea is that balls of different masses can be catapulted to start a chain reaction that collects stars in the game. 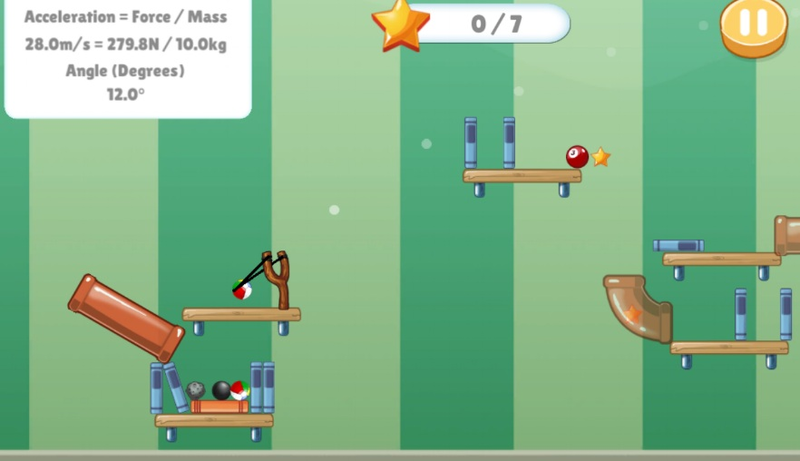 This is a science game that allows the player to explore the laws of motion. This math game requires the player to quickly estimate where a sum falls on a number line. It has been developed to handle a wide range of sums, such as addition, subtraction, multiplication, division and more. The player quickly estimates answers and is rewarded with a better score for faster, but reasonably accurate responses. As an educational game developer we have to think about how to create an environment which provides the right mindset to solve the problem. Learning through play, finding what drives us, and following the dream of what we can be is the motivation behind SportsLab – the project-based sport research and design challenge. SportsLab teams uncover and connect STEM and 21st century skills to create and propose a shoe design for the sport of Parkour. QuestLab Editor has been developed to support other competitions and environments, helping young players push their limits, work in teams, find what drives and motivates them - important steps that help them compete in the real world. Ravenous teaches the life science of birds. The player must learn to fly like a bird with the goal of traveling the maximum distance while optimizing energy use. The player controls basic bird flight aerodynamics and behavior to deal with environmental challenges that influence energy cost in both positive and negative ways. The bird has an energy bar reflecting the life of the bird (0 = death) and an efficiency meter directly related to the bird’s actions (i.e. flapping frequency, the angle of the wings, taking advantage of lift opportunities, scavenging for food, avoiding predators, and mating). As educational game developers, the complexity of the bird controls was a unique challenge that we enjoyed solving. Monster Breeder teaches players about artificial selection by letting them breed their own monsters. The player carefully selects mating pairs to carry on the desired traits to match a target monster. This game was created for players to explore genetics and how to utilise dominant and recessive traits. As educational game developers we thrive on making complex puzzles for players to solve, and this certainly is a challenging yet easy to play game. Space Explorer allows players to explore our solar system. Players use their knowledge of the solar system and information they find while exploring to solve a treasure hunt - with a few surprises along the way. 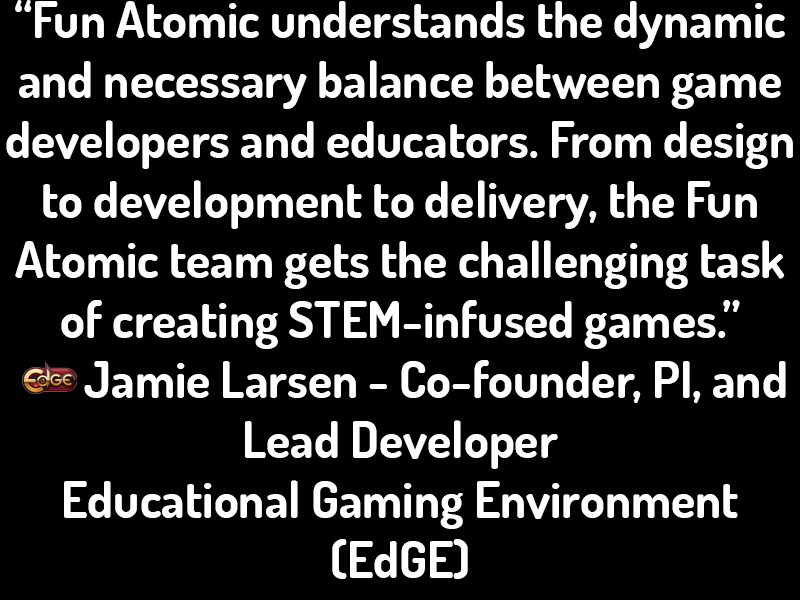 As an educational game developer, it is fun to think about how to create mechanics that work together with the educational goals of the game. We design our games so that they are both educational and fun. Players must quickly estimate where a sum falls on a number line. The player is rewarded for speed while requiring a reasonable level of accuracy. SportsLab is a multi-player team-based environment where players complete tasks towards their goal of designing a sports shoe. This game, developed for anmuinteoir, provides a skinnable and adaptable multiple choice environment. It is powered by a custom content management system. Customers will request different pizzas of different sizes, making players use their fractions to fulfil the orders correctly. EDUCATION + FUN = LEARNING. We build games for every major platform. Educational game developers that will make games for the Windows, Apple Mac, Google Chrome and Linux operating systems , apps for Windows, Google Android and Apple iOS mobile devices, and web-based games that will run in all major browsers using the latest and most stable HTML/JS and WebGL techonology standards. workING with students, teachers and ResearchERs. We take ideas and bring them to life. BASED IN THE UK, WORKING AROUND THE WORLD.